The restaurant will not only attract people with the menu on offer, but also garner attention with the unique theme and language. 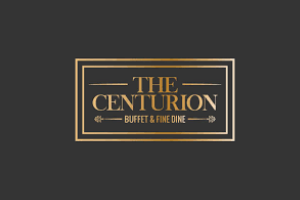 16 January 2019: The city of Nawabs ‘Lucknow’ now has an the added attraction with the launch of city’s biggest buffet and fine dining restaurant, The Centurion Buffet and Fine Dine. The Restaurant is located expediently at Top Floor, Wave Mall, Gomti Nagar, a Buffet and Fine Dining cuisine restaurant by Gurmeet Singh, Kulwant Singh, Aditya Ranjan and Arif Sheikh. Ali Tabish Nomani, Project Head, The Centurion said, “With a wealth of expertise, the launch of The Centurion will bring the friendly and hospitable service, and informed, contemporary Fine dine, to the city. The Restaurant is the newest entrant in the Food Beverage & Hospitality sector in the city and will showcase the classic cuisine and timeless dining experience. Modern and State of the art ambience comprise of an air-conditioned rooftop is complimented with the theme based food counter. The cooking is ingredient-led, with simplicity, passion and seasonality. A buffet menu comprises of World Cuisine with more than 100 dishes. Almost everything is made fresh in-house, including the sauces. The stylish restaurant aims to be the most sought after food destination for food lovers of Lucknow that bears a similitude to those of around Uttar Pradesh which also has a dedicated kids zone with kids area representatives and a children menu, senior Citizen Friendly Premises and A state of the art kitchen floor of 2,500 sq. ft.